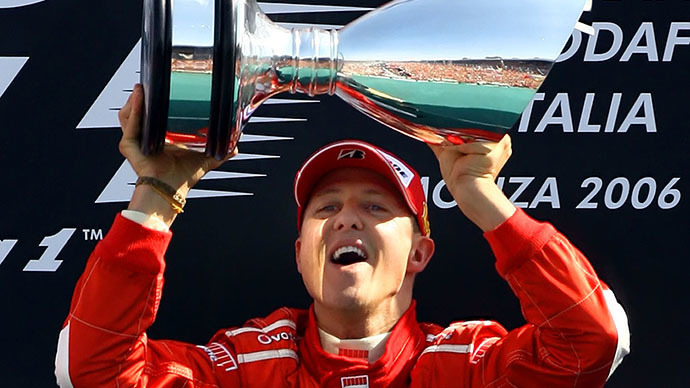 Formula One champion Michael Schumacher is no longer in a coma and has left the French hospital where he was being treated since suffering severe head injuries in a skiing accident late last year. "Michael has left the CHU Grenoble (hospital) to continue his long phase of rehabilitation. He is not in a coma anymore," a statement from spokeswoman Sabina Kehm read. On Monday, his spokesman told Reuters that Schumacher had been admitted on Monday morning to University Hospital of Lausanne, Switzerland after leaving hospital in France. "His family would like to explicitly thank all his treating doctors, nurses and therapists in Grenoble as well as the first aiders at the place of the accident, who did an excellent job in those first months," the statement read. It remains unclear where he is being transferred to, with the statement asking for understanding, saying Schumacher's "rehabilitation will take place away from the public eye." Family members of the racing giant also thanked all his supporters and their well-wishes, saying: "We are sure it helped him." Fans have regularly held vigil outside the hospital in Grenoble where he was being treated ever since his accident last December. Many came from all over Europe to offer their support to the racing legend. Many more were openly vocal in support for Schumacheron Social media. "Good news that your out of the coma but winning 7 crowns was a lot easier for you than this latest battle. I wish you the best on your journey and hope to see you in the public gaze once again," Jim Tillott 'Cahill' wrote on a Facebook fan page. “Fantastic news!! Wishing Michael all the love and luck in the world for the long road ahead, you will conquer this Michael, it's gonna be your best victory yet!!! Xxxxxxxx,” Sonya Marie Mclean wrote. The 45-year-old had hospitalized since December 29, 2013, after sustaining a head injury while skiing with his 14-year-old son in the French Alpine resort of Meribel. He was placed in a medically induced coma in an attempt to reduce pressure on his brain. The F1 legend was wearing a helmet at the time of the fall, which most likely saved his life. "Someone who had suffered this accident without a helmet would not have made it this far," chief anesthesiologist Jean-Francois Payen previously told reporters. Since being admitted to hospital in the eastern French city, he has remained in stable but critical condition. Schumacher is the most successful driver in Formula One history. The racing star won 91 races, set multiple records – including fastest lap time - and took home seven drivers' championships in his two-decade career. In 2002, he became the only driver to finish in the top three in every race of a season. 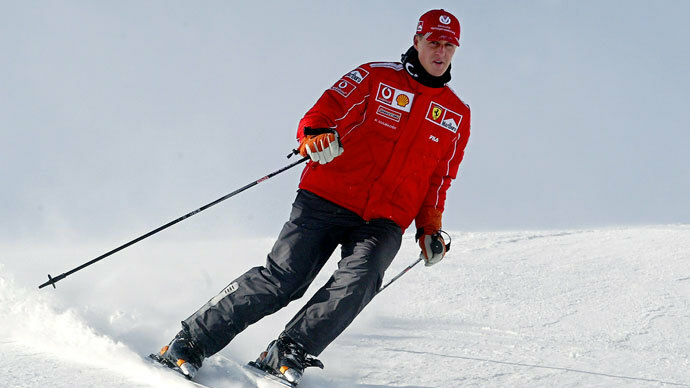 In 2005, Eurobusiness magazine called Schumacher the world's first billionaire athlete. In October 2012, he announced his retirement from the sport.